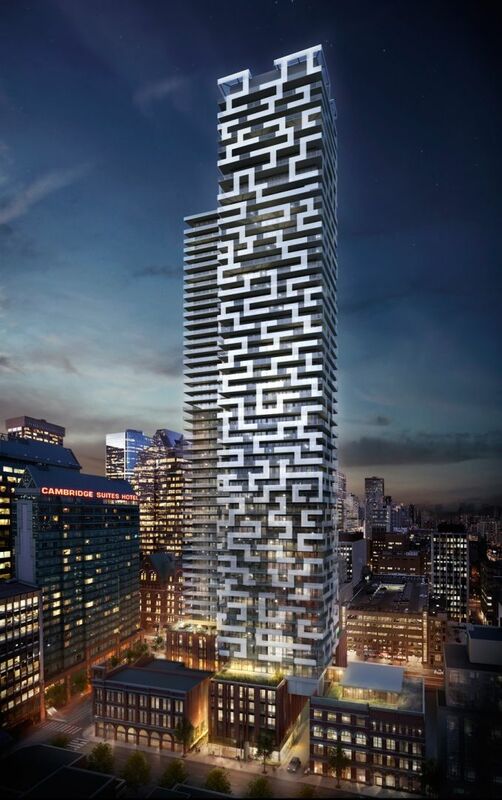 Centrally located at the intersection of Yonge and Richmond Street in Toronto, YONGE+RICH is the latest high-rise project by Great Gulf. 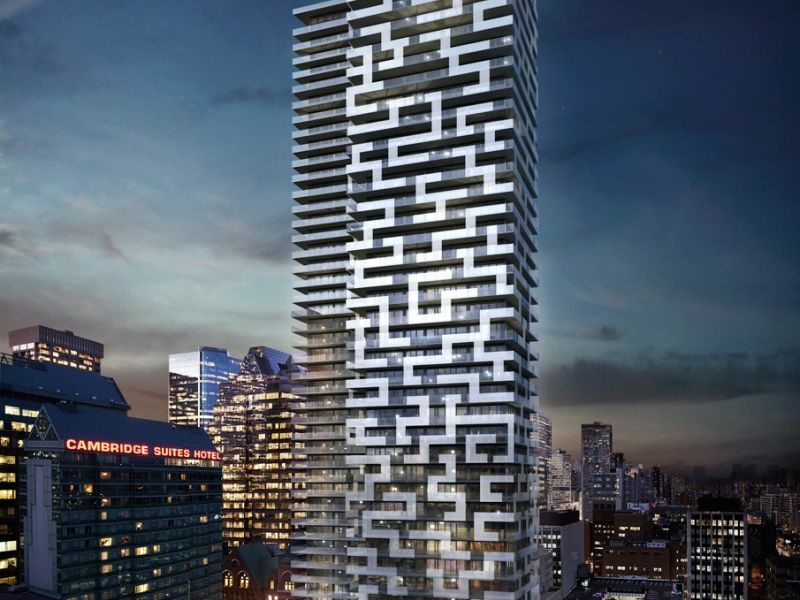 Tucker HiRise started construction in the fall of 2017. The project has been designed with a new, economical solution for concrete construction: shear rails utilized in foundation walls. “Shear rails allow for thinner concrete walls and are easier to build than using stirrups” says Dominic Mattman, associate at RJC Engineers. 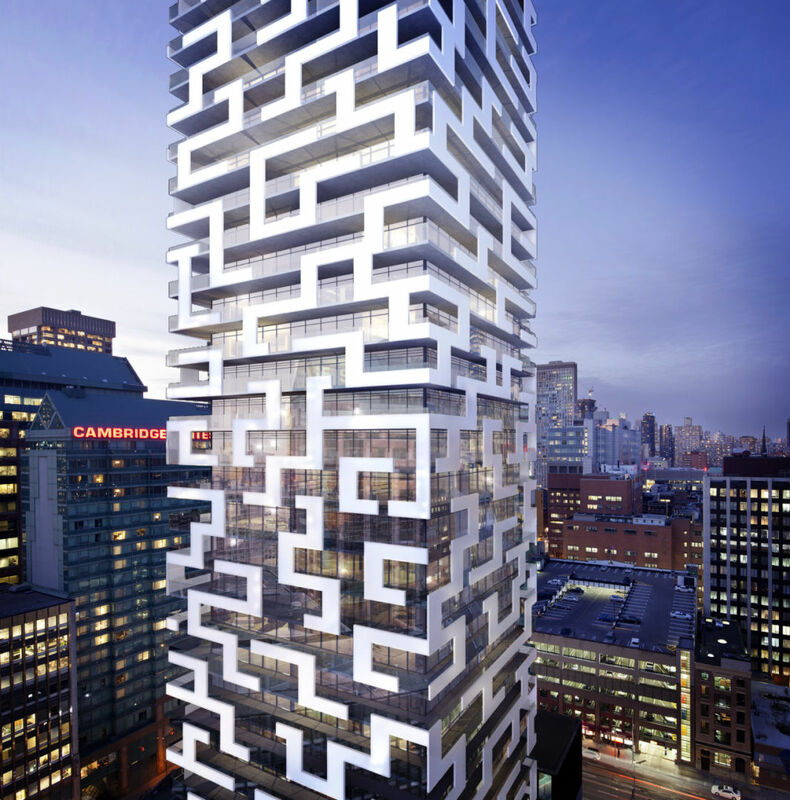 RJC is the structural engineering firm responsible for YONGE+RICH. Compared to working with a thickened foundation wall, shear rails make your walls thinner and therefore increase your interior space for parking. Compared to working with rebar stirrups, shear rails greatly reduce onsite manual labour. Installation is simply done with two workers: one hanging shear rails on the wall rebar, another tying the shear rails to the rebar. The leader of this new application is RJC Engineers. “We are always searching for new ways to improve our design” explains Dominic Mattman. “This foundation wall design is becoming mainstream for us: we now use it on numerous projects across Ontario” Mr. Mattman adds. From the moment shear rails are designed on a project, a supplier such as Peikko Canada will be involved. We provide the take-off as well as shop drawings for each shear rail type. Once they are approved, shear rails are produced and shipped to site. Installation can either be done by the rebar contractor or the formwork contractor.